This whole concept will be based on neutrality. Some of it will wildly favour the ‘Yes’ campaign and some of it will favour the ‘No’ campaign, but somewhere in the middle there is a realistic outcome and that is what I shall seek to find in the midst of faux news and publicity. The simple, but most fundamental thing we need to understand about independence is the one thing that most people struggle with. Independence is not about the SNP, it is not about Alex Salmond and it is certainly not about a little white paper publishing one group’s political manifesto. 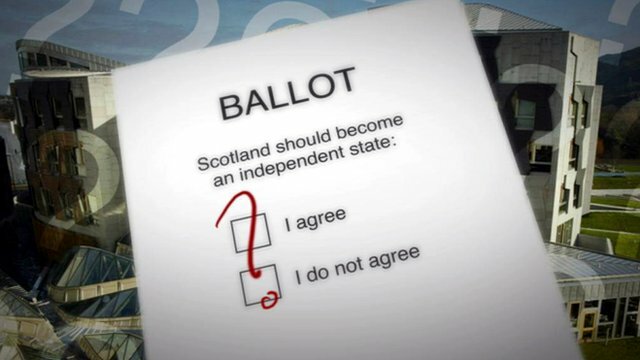 Independence is about the Scottish people choosing to Self-Govern. Many argue we are not capable of such; and many argue that we are. The first post, after this one, will focus on what or who Scotland is. We pride ourselves as a nation on ‘Scotland the Brave’. We have our own sports teams, our own international identity as people; but does Scotland actually exist in International Law? The list of questions goes on, and I will certainly not be aiming to give a history lesson. I will begin in 1706/7 and quickly work over the Edinburgh agreement, the E.U., the national debt, taxation, Oil, the law of the sea, currency, constitutional framework……..all the really important questions. The ones that actually matter; and not the ones that are politically pleasing i.e.) Will I need a passport to go to England? The simple thing to remember about independence is that it is not in everyone’s interests; and by that I refer to Politicians. A Scottish MP (In Westminster) is unlikely to support Independence on the basis that they will be out of a Job. In that case, groups such as Scottish labour are naturally going to be against Independence as their party’s politics are determined from south of the border. It is also clear that Labour cannot wish to become the UK Government without the vote of the Scottish People: so they are bias. The SNP are clearly bias, but in the other way. My issue with the SNP is that I feel Independence, rather than a selfless act, has become more about Alec Salmonds personal legacy than what is best for the Scottish people. I could go into every party in detail, but I won’t. I am hoping to be posting here fairly regularly on the subject, with some boring legal analysis and a few twists and turns on figures but I cannot promise it will be a daily issue. As I say, my main aim is to put out there the facts and some of my own opinion on the main matters of Independence. I can’t say 100% of it will be original work either, the Scottish Government, the House of Lords have all sought their own in depth advice on the matter and published it so naturally I will cover much of the same ground. However, unlike those papers I do not have a particular aim to achieve other than clearing up the ‘facts’ as the problem with much of the legal advice is that it is priority based, and fighting the cause for whomever has sought the advice. Like any debate however, there are always two sides to the argument and it would be easy to be drawn into the argument of one side or the other if you do not analyse the facts, and more importantly the influence behind the facts, that each group provides. This entry was posted on December 11, 2013 at 10:50 and is filed under Politics. You can subscribe via RSS 2.0 feed to this post's comments. Great news. I look forward to your forthcoming posts on a subject with too many vested interests and subject to biased propaganda in the media. Looking forward to your mussings on this epic subject Garry. Yip. I will go along with the above. Look forward to the debate.